Suicide prevention should be one of the most urgent priorities of our times – globally and nationally. The rates of suicide should be known, disaggregated and unmasked as the humanitarian crisis that in effect it really is – though little known, suicide is one of the issues of our times. Annually, suicide takes more lives on average than wars, civil strife, all violence combined. It takes more lives annually than most diseases do. In Australia, suicides exceed road fatalities. Why then is not suicide prevention one of the national priorities? The contributing factors need to be understood, they vary demographically and from people to people – culturally and ‘racially’. In Australia, the majority of suicides have been linked to various stressors – including mental health, various trauma, cost of living pressures, a sense of failure, depression, and among the elderly there are underlying factors such as pain. 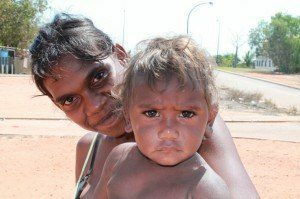 However for Australia’s First Peoples the contributing factors are markedly different – they are linked to extreme poverty and disadvantage from the beginning of life, intergenerational trauma, cultural identity, racialisation and racism. Often alcohol and substance abuse are considered by many as underlying causes but these are not underlying causes and rather they are at best contributing factors borne symptomatically of the above. For non-Aboriginal Australians who have suicided the average estimated loss of life is about 30 years per person however for the First Peoples of this continent who take their lives the average loss per person in years is more than 50 years. To put average loss of life years per person into context, we can compare this to cancer – the estimated loss of life years per person dying of cancer is 8 years. Therefore suicide not only takes more lives but more life years. The majority of suicides by First Peoples are below the age of 35 years, with the most at-risk age category the 25 to 30 year olds. There are other high risk groups – LGBTQI with Aboriginal LGBTQI up to four times more at-risk than their non-Aboriginal counterparts; those who have experienced prison – in the first year post-release they are up to ten times more likely to intentionally self-harm and suicide than while in prison and up to 40 times more likely than the rest of the national population; those with Acquired Brain Injury are also at between ten to twenty times more likely to endure suicidal ideation. On average one in 20 of Australia’s First Peoples will die by suicide, this is catastrophic, but the real rate is more likely one in 10 – there are under-reporting issues. Wholesale suicide prevention for First Peoples can only succeed if it includes the redressing of inequalities in reference to the social determinants – homelessness, housing, social infrastructure, education – the elimination of extreme poverty. Without the strengthening of social health, far too many will lapse under pressures culminating in depression, clinical disorders and violence. Substance abuse are merely dangerous relief from the various personal dysfunction and sense of hopelessness. Western Australia is the wealthiest jurisdiction in Australia. Australia is the world’s 12th largest economy. Western Australia has the world’s highest median wage. But far too many of the State’s First Peoples live impoverished, live in third-world akin conditions. Western Australia’s suicide rate is higher than the national rate. From 2007 to 2012 it had a suicide rate of 13.9 per 100,000 population but if you subtract the State’s Aboriginal and/or Torres Strait Islander population, which is less than 3 per cent of the State’s total population, the State’s suicide rate would be significantly lower. In the same period the State’s suicide rate for First Peoples was nearly 40 per 100,000 population. Though the underlying issues to suicide for non-Aboriginal and to First Peoples, and the contributing and protective factors are different, there is no more pressing issue that our Governments should focus on – bona fide suicide prevention. Western Australia has the highest rate of Aboriginal and/or Torres Strait Islander suicide in the nation, and especially so since 2005. The Kimberley region has the nation’s highest rate of suicide of First Peoples, and is only matched sadly by Far North Queensland’s First Peoples. Mental illness is generally slated as the predominant contributing factor to suicides – Aboriginal and/or Torres Strait Islander and non-Aboriginal however it is not the predominant factor, but something cumulative or consequent, particularly for the majority of First Peoples. The only way forward to bring about radical reductions in the rates are through transformational ideologues – for First Peoples and their rates of intentional self-harms, attempted suicides and suicides will only be brought at least in line with non-Aboriginal rates when equality is dished out; by equality I mean the investment in the social infrastructure of communities, towns, urban masses predominately populated by First Peoples but for too long degraded by one Government after another. Anything else is mindless hogwash, more neglect, endless racism.